Where to eat? 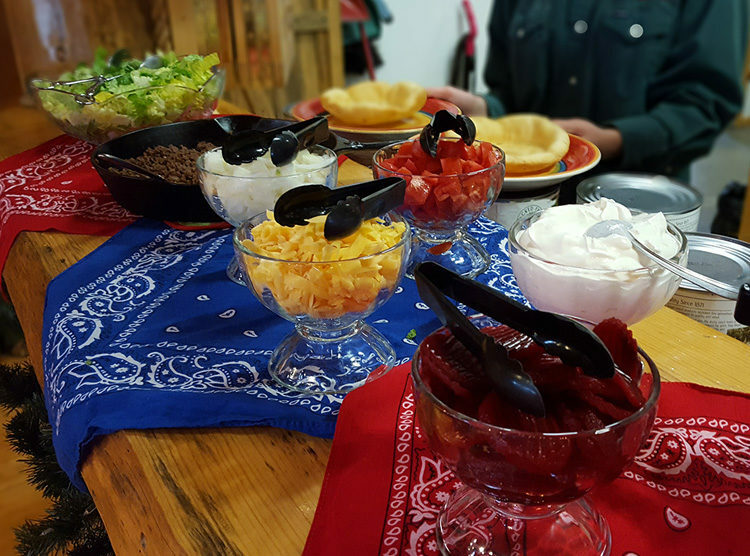 You won’t find cookie-cutter food in the restaurants near Curlew Lake, but you will enjoy tasty, addictive, frontier-town fare. 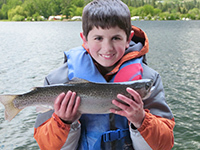 Whether you’re here to fish, hike, or family vacation, here are a variety of satisfying eateries that will tempt you back for more. 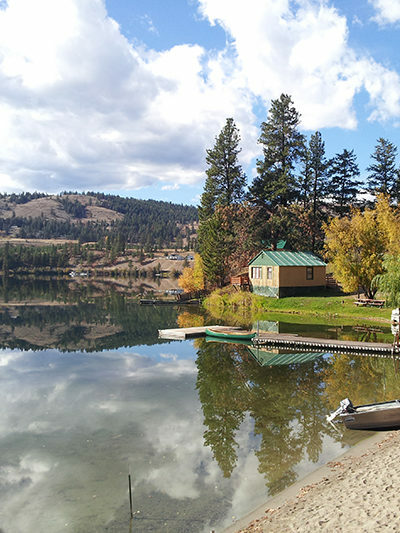 On the east shore of Curlew Lake (off Hwy 21) is the Snack Shack at Fisherman’s Cove Resort. The only restaurant at the lake, and open seven days a week May through late October, this charming, outdoor restaurant doesn’t disappoint. 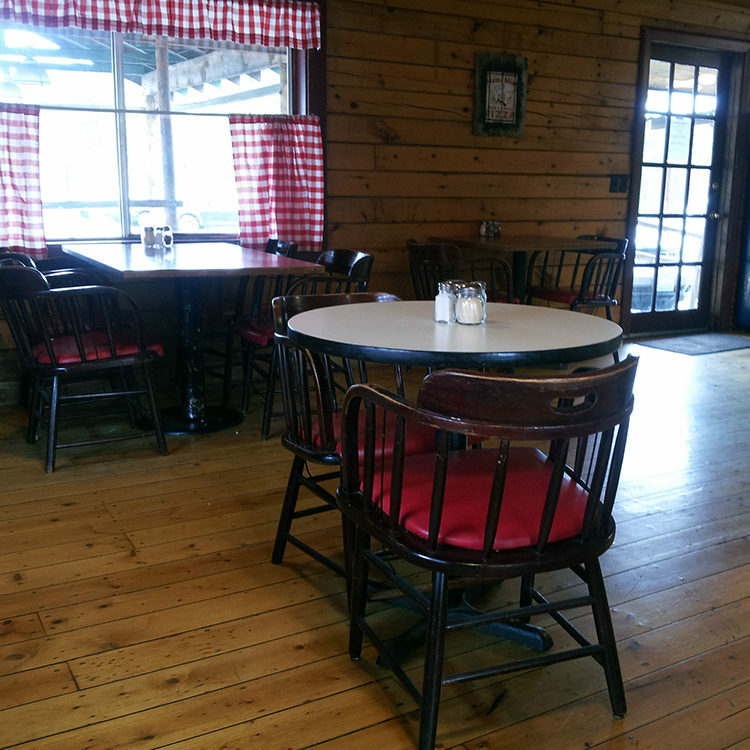 You’ll be treated to a fabulous lake view, great American fast-food cuisine, and friendly service. View of Curlew Lake from Snack Shack. Signature, classic burger and fries are yummy good. Salmon burgers with dill sauce are excellent. Bacon, scrambled eggs, toast, & hash browns. Flower bedecked deck overlooks the lake. 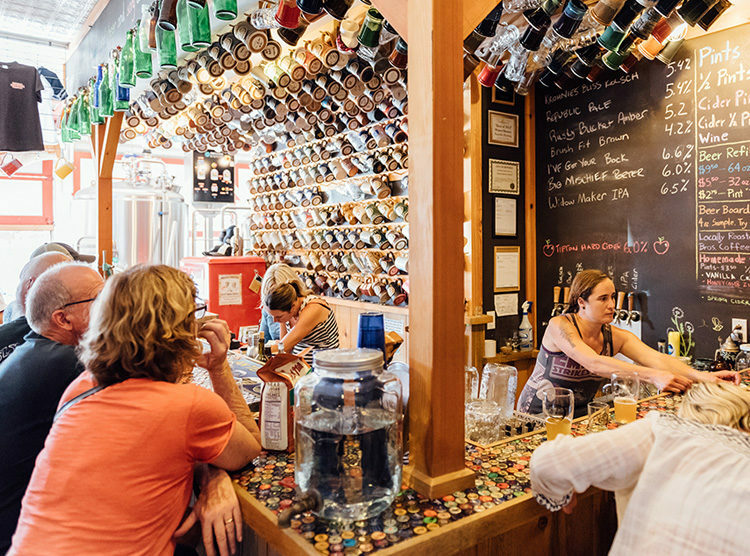 A seriously friendly place to quaff an excellent beer with a friend (or to make a new friend), the RBC brews up a satisfying array of on-tap beers that are supplemented with seasonal favorites. They also brew their own, non-alcoholic sodas. Sit inside, or outdoors in the beer garden. They have a dart board and shuffle board. They serve complementary peanuts, and you’re welcome to bring your own food. Republic Pizza, Esther’s, and Freckles restaurants will all deliver food to you at the pub. 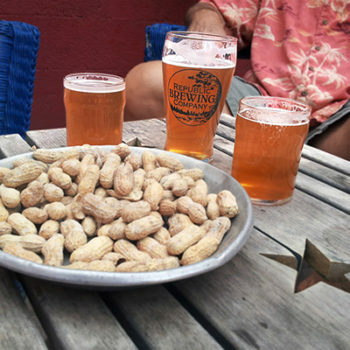 Kick back in the Republic Brewing Company’s beer garden and enjoy a crowd favorite: Pale Ale, served up with a pan of complimentary peanuts. Esther’s carne asada, with beans, rice, guacamole, and flour or corn tortillas. 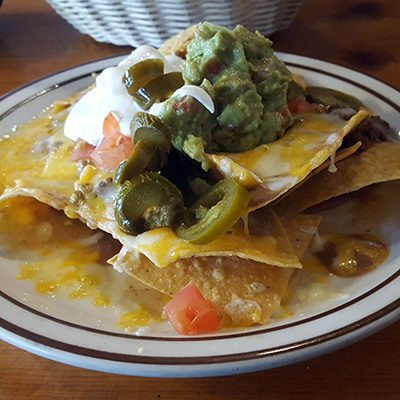 A scrumptious half order of Esther’s nachos. Small town pizza? No way! This family-run pizza restaurant serves up pizzas made with handmade dough, topped with fresh toppings and 100% real mozzarella cheese, and baked in Republic’s only brick pizza oven. 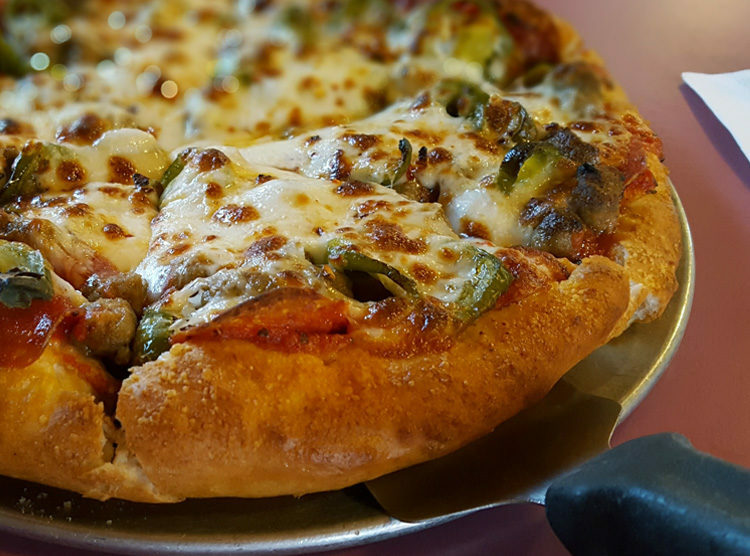 Their pizzas’ butter-brushed crust just makes your mouth happy. Eat in or order to go. Don’t forget they deliver meals and appetizers next door to the Republic Brewing Co, where you can enjoy an excellent pizza with an excellent beer. 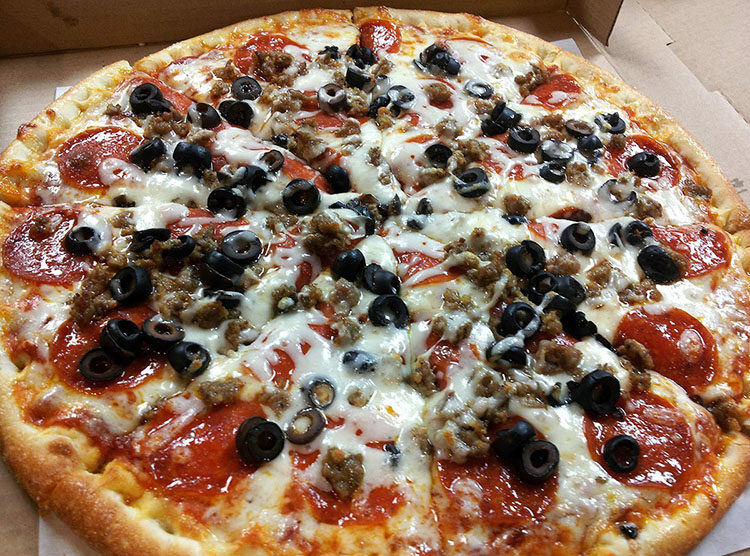 Republic Pizza’s RPC Special with sausage, pepperoni, black olives, and cheese. 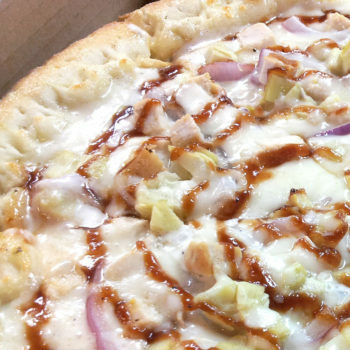 Chicken, artichoke, red onions, ranch dressing, and a hint of barbecue sauce. Republic Pizza Co. owner, Ann, takes your orders and delivers pizzas to the Republic Brewing Co.
Freckles is serious when they describe their food as “Gourmet.” Their mouthwatering signature Sassy Pig sandwich (with pulled pork, jalapenos, BBQ sauce, pepper jack cheese, and coleslaw on a sweet Hawaiian roll) is just one of many scrumptious lunch and dinner choices. 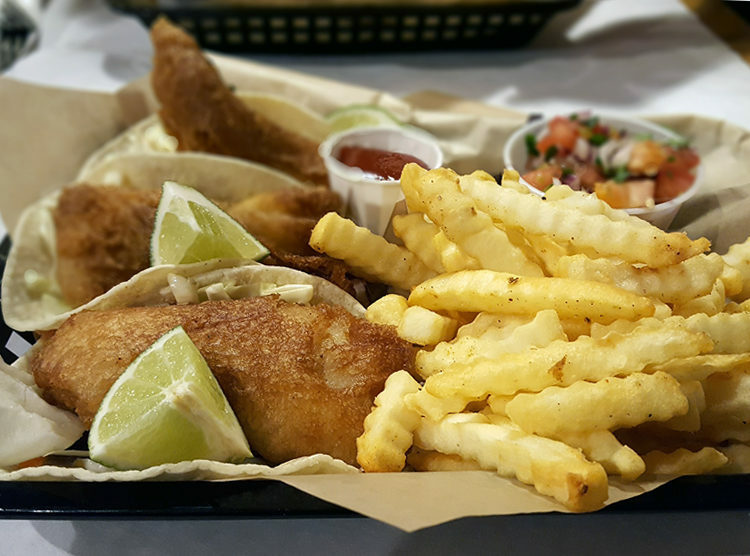 They have full-service bar and will deliver meals and appetizers next door to the Republic Brewing Co.
Freckles Gourmet fish tacos and tangy coleslaw, with fries, gourmet ketchup, and pico de gallo. Located in downtown Republic, WA. 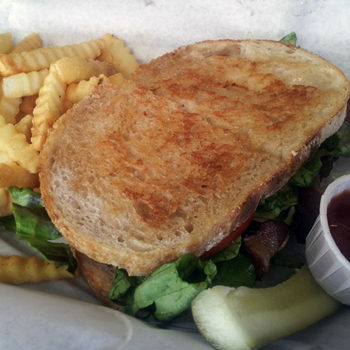 Yummy bacon lettuce and tomato sandwich on sourdough bread. 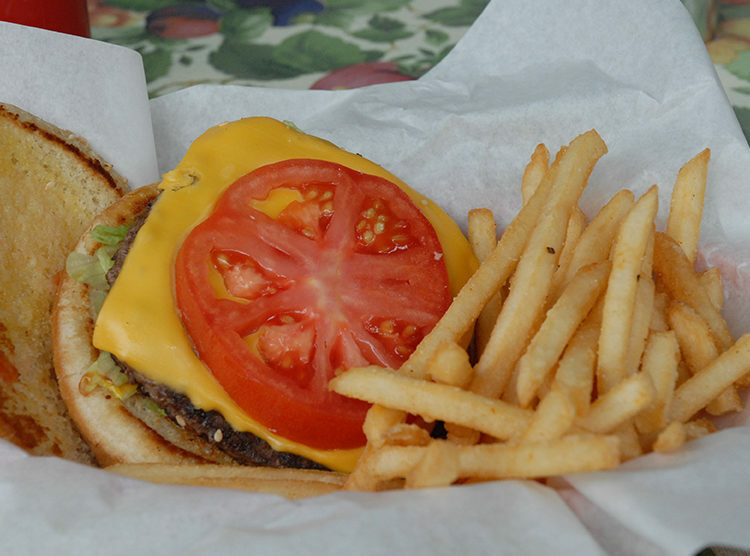 Steve O’s specializes in an all-American menu of burgers, sandwiches, wraps, appetizers, and pizza. They also serve up a yummy array of ice cream treats. Mmm! Open Monday through Friday for lunch and dinner. 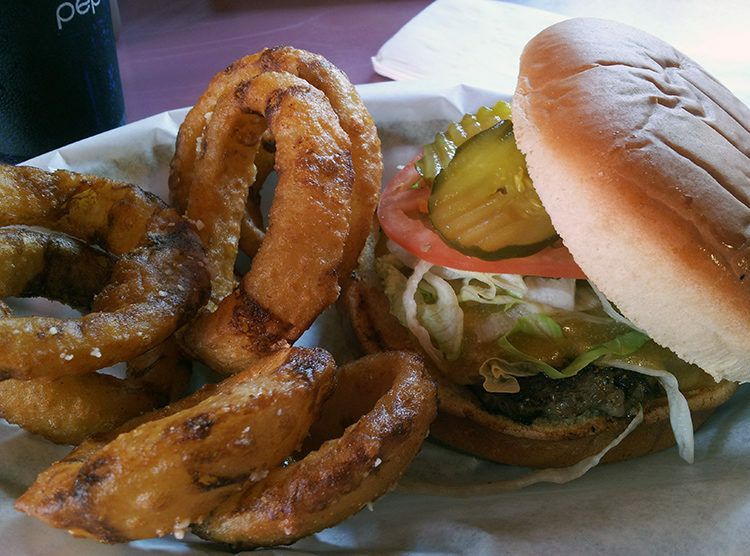 Great burgers and onion rings. Tasty Steve O’s pizza of sausage, pepperoni, and jalapenos. Cozy seating and friendly wait staff at Steve-O’s. Open seven days a week for breakfast, lunch, and dinner, this little roadside restaurant offers up all-American fare that includes chicken strips, hand-battered fish fillets, and burgers all served, with the best regular and curly fries around. They serve lattes and soft ice cream cones and shakes. Located just off Hwy 21 near the town of Curlew, WA, you can pick up lunch and a soda and head a mile over to Peggy Brixner Park to enjoy a picnic on the Kettle River. 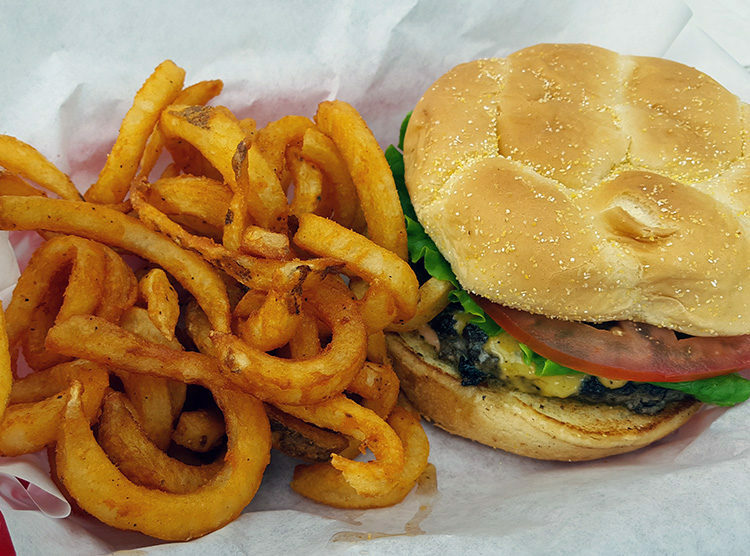 Great burgers and excellent curly and regular fries. 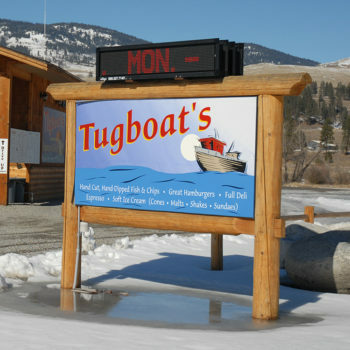 Tugboat’s has a drive through and picnic-benched, enclosed seating area. 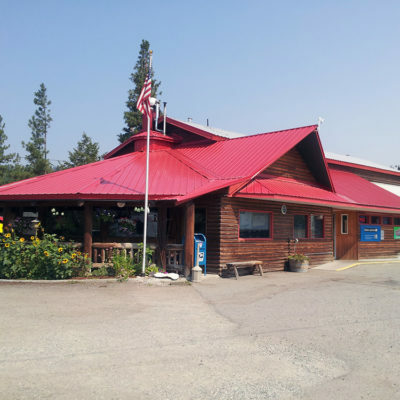 Situated at the intersection of Hwy 21 and Hwy 20, just outside of Republic, WA, Pine Grove Junction is part gas station, part mini mart, and a big part restaurant. 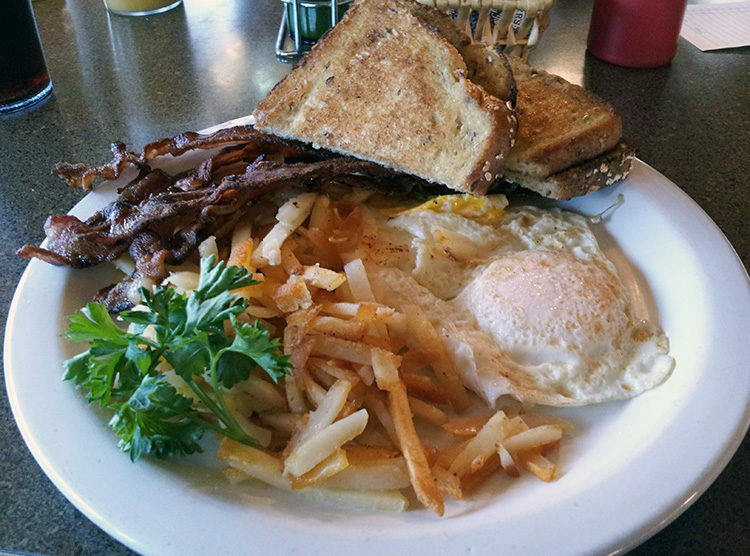 Especially loved for their all-day breakfast menu, they also serve sandwiches, soups, and steak dinners. Open every day for breakfast, lunch and dinner. 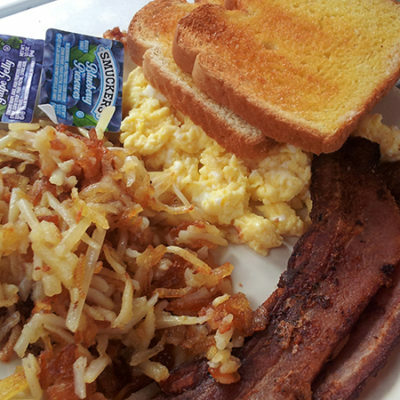 Serving up tasty breakfasts all day, every day. 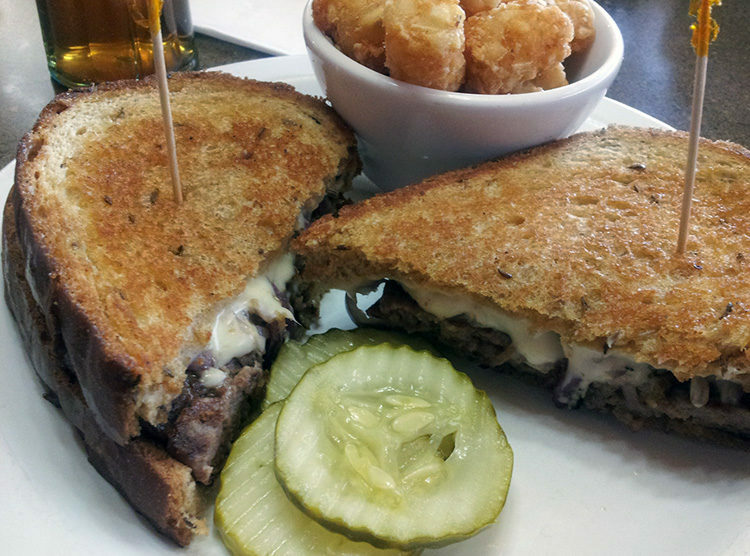 Pine Grove Junction’s grilled patty melt sandwich. Pine Grove Junction distinctive red metal roof. 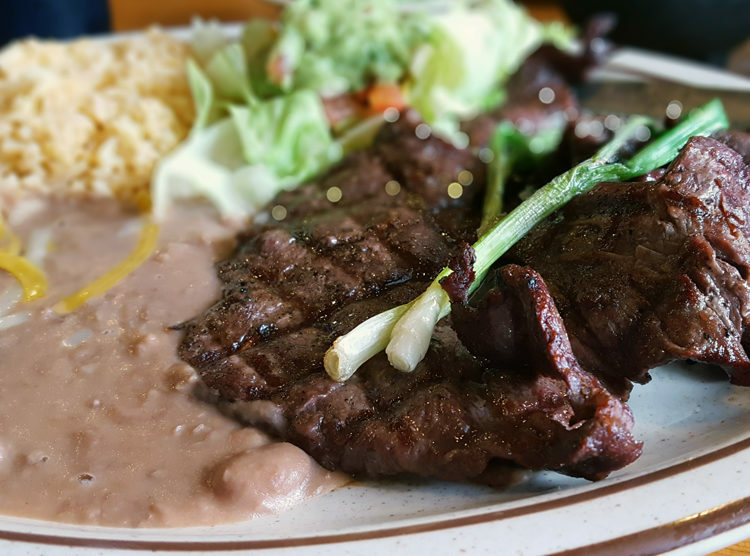 Excellent food and rich Western atmosphere combine to create an unforgettable experience at the K-Diamond-K Guest Ranch. Open for breakfast, lunch, and dinner. 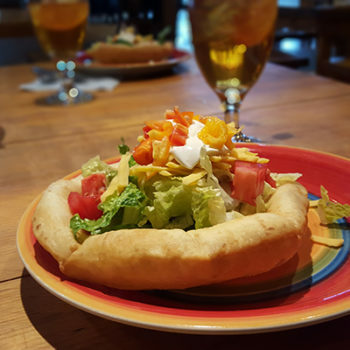 Meals are served family style, so you’ll have the pleasure of sharing a conversation with other vacationers, locals, or maybe the ranch’s owners. Buffet lunch menu changes daily. Call ahead to make reservations or confirm menu offerings. K-Diamond-K’s scrumptous taco salad bar. They use their own ranch-raised beef for the taco salads. 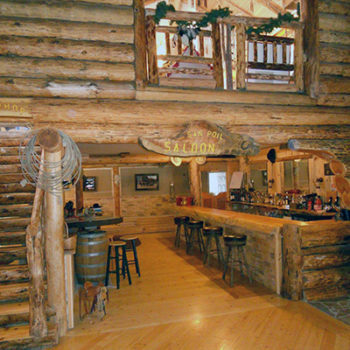 Log walls and wood floors impart a beautiful Western atmosphere to the restaurant and bar. 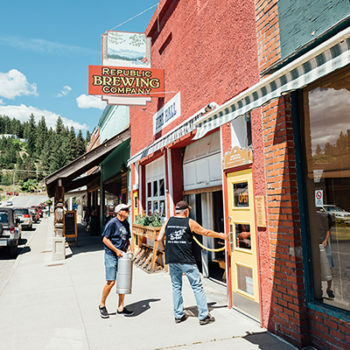 Conveniently located in downtown Republic, Wa, this welcoming coffeehouse serves up great lattes, beverages, and breakfast pastries, as well as ice cream cones. 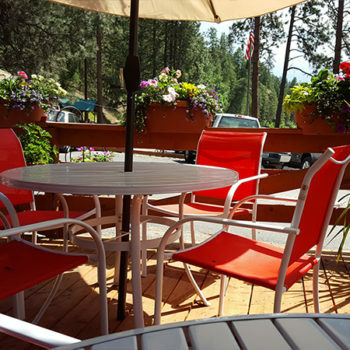 Pull up a chair and watch the town of Republic slowly go by as you enjoy your treat. Around you, you’ll find a charming array of reasonably-priced home decor, bath and beauty items, candles, and seasonal decorations and gifts. It’s a great place to pick up a travel souvenir, or holiday or hostess gift. 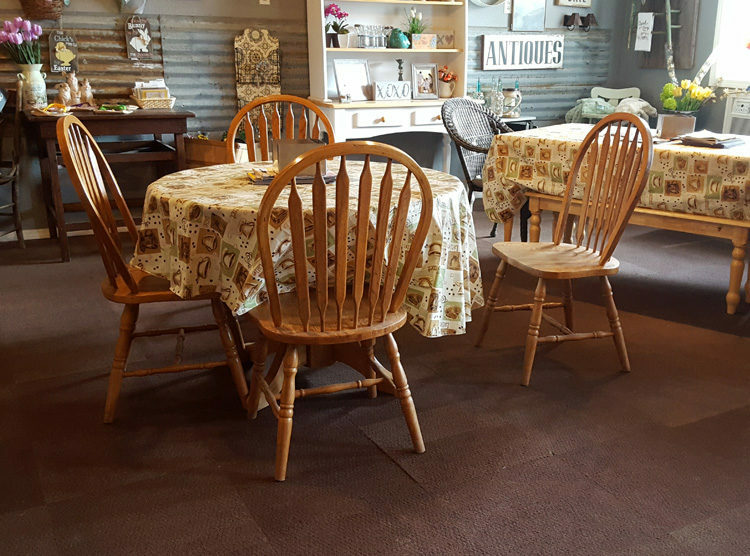 Comfy seating provides perfect place to sit, talk, and enjoy a tasty treat. 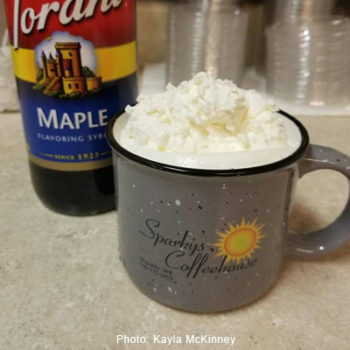 A double maple latte, is one of many yummy drinks that Sparky’s serves up. 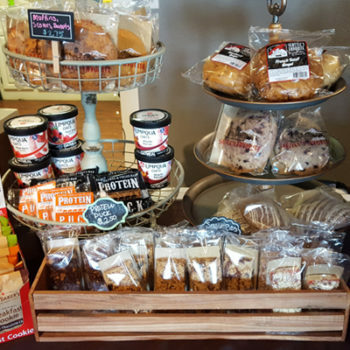 Tasty all-day cookies and pastries, and breakfast treats. 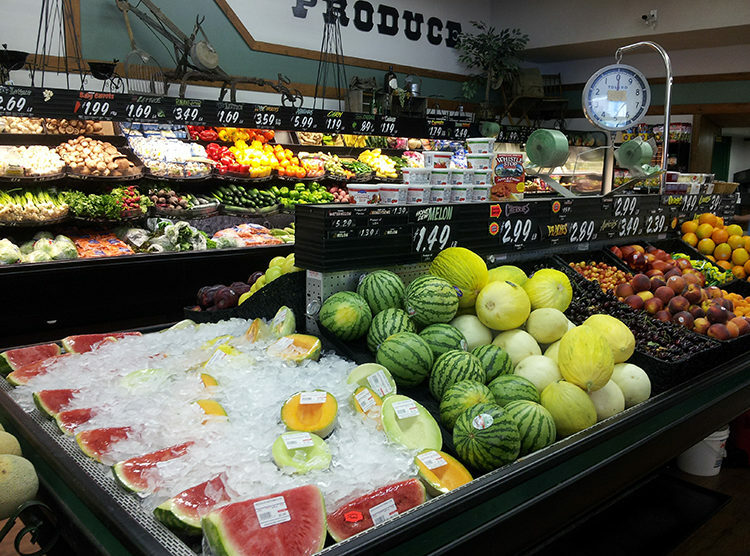 Republic, Washington’s largest grocery store carries a wide variety of fruits and vegetables, dairy products, and freshly cut meats. Full deli with rotisserie chicken, fried foods, potato and macaroni salads, and self-serve fountain sodas. 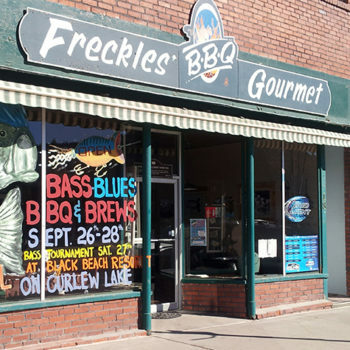 This super-friendly store has all the fixin’s you need for a tasty barbecue or a picnic. Produce section of Anderson’s Grocery in Republic, WA. This friendly, reasonably-priced restaurant and lounge is located on Republic’s main thoroughfare, and serves up tasty breakfast, lunch, and dinner meals seven days a week. Check out their menu, hours, and daily restaurant and lounge specials on their Facebook page. 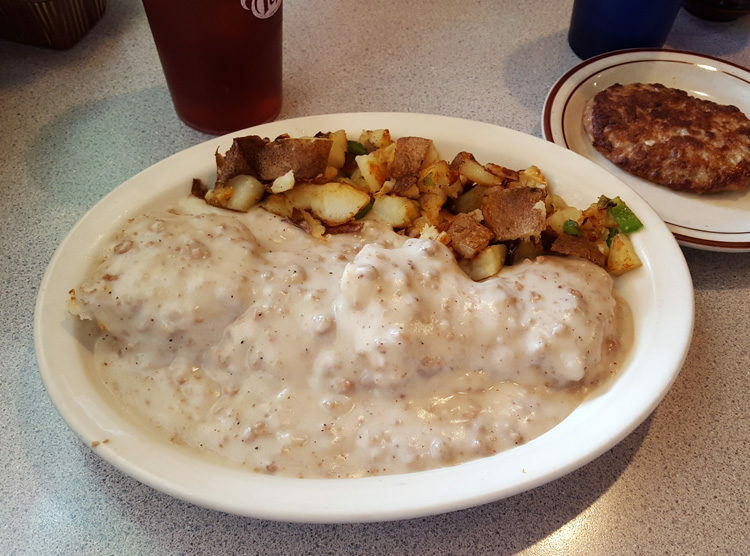 Old-fashioned biscuits and gravy, served up with tasty potatoes O’Brien, and a side of sausage. The Co-op stocks a variety of organic foods, fresh produce, and bulk spices and teas. Mon. 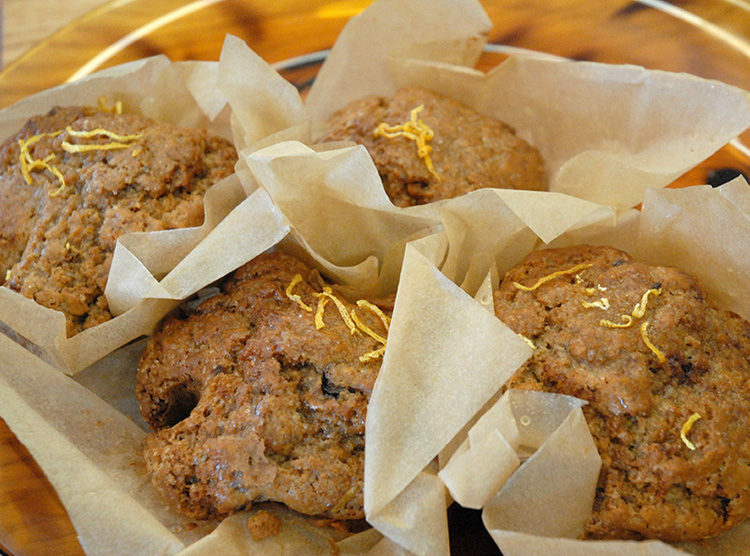 though Thur., their bakery bakes up a rotating offering of fresh breads, scones, cookies, and muffins. 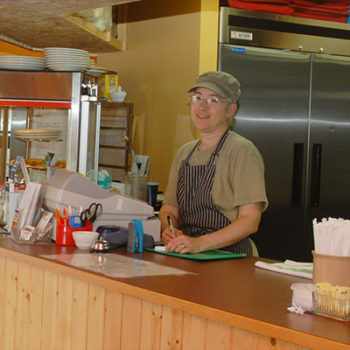 Their self-service cafe also offers a freshly-made soup du jour and a entree four days of the week. The Co-op also carries gourmet cheeses and gluten-free snacks, pastas, and grains. Closed Sundays. Copyright © 2018-2019 Vanilla Pines Enterprises. All rights reserved.